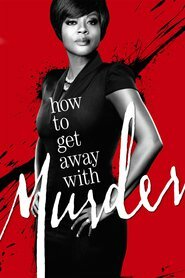 Overview… a detective with the Philadelphia police department who is having an affair with Annalise Keating. Both Nate and Annalise are married, though their reasons for straying from their spouses are vastly different – Nate’s wife has been sick with cancer for quite a long time. As they sneak around in their personal lives, Nate continues to cross paths with Annalise professionally, making his job difficult, because Annalise knows enough about Nate to manipulate his answers on the stand. Personality… confident, shrewd, and straightforward. Nate always tries to do the right thing under the law, and this sometimes conflicts with Annalise’s objectives. Nate doesn’t play her games, but she’s still Annalise Keating, and she always finds a way to manipulate everyone. Nate Lahey's popularity ranking on CharacTour is #4076 out of 5,000+ characters. See our top-ranked characters and read their profiles.